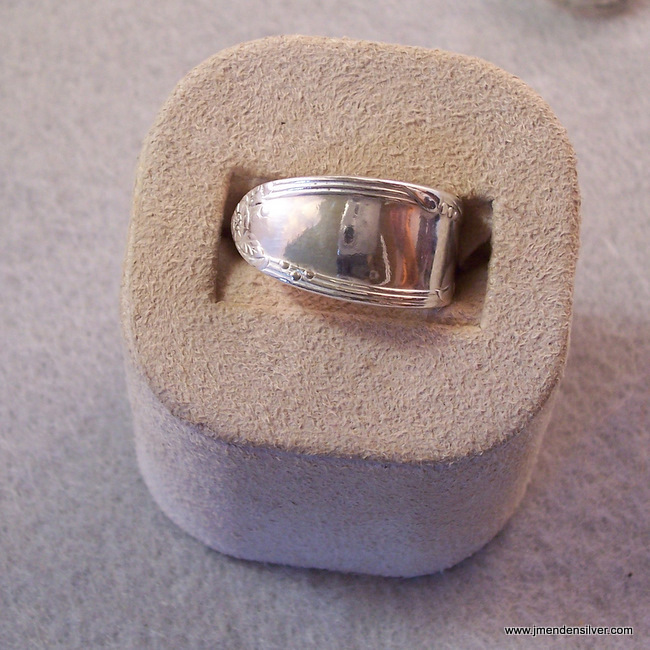 This sleek but classy ring is made from a sterling silver spoon handle that has the pattern Virginian printed inside the ring. 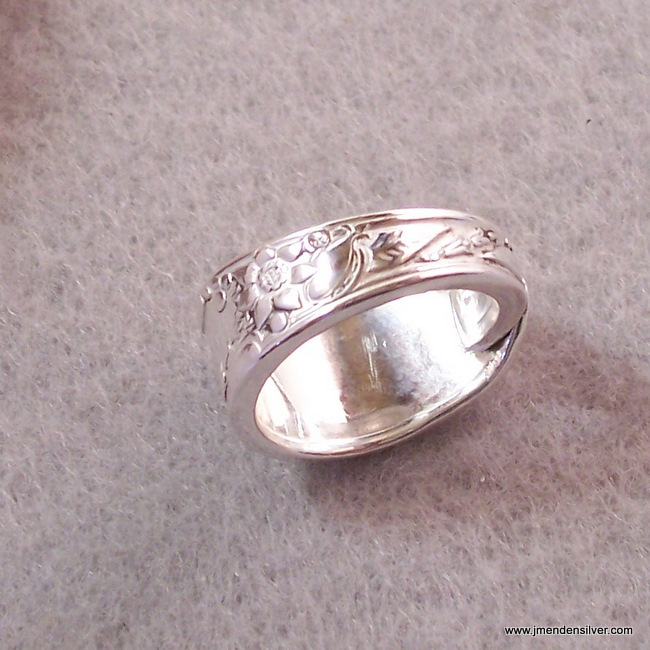 I have soldered it closed in a traditional ring design. The reflection you see on the front of the picture is my camera and not a shadow or any scratches. If this finger fits your pinky it is a great little ring for that purpose because it is thick and less likely to fall off. A thin pinky ring is the type you could lose when you wash and dry your hands.